This document, prepared by the Simpson brothers (possibly Samuel Newell, H.M., and/or W.A.) 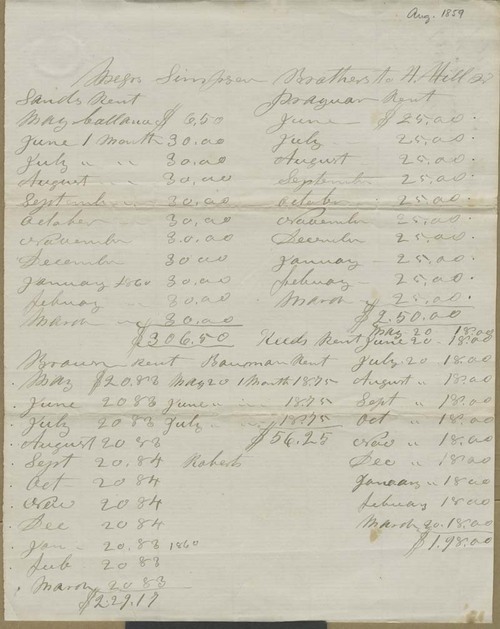 for Hiram Hill, shows the amount of rent collected for each of Hill's tenants from May 1858 to March 1859. Hill owned several properties in Lawrence, Kansas Territory, which he rented to people and businesses.